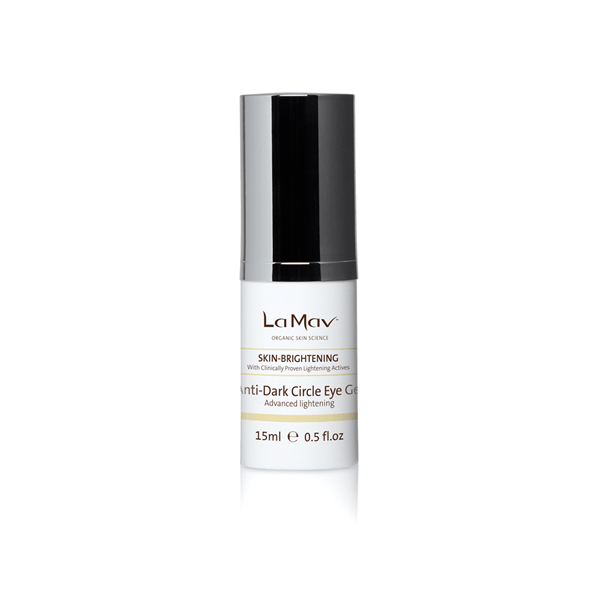 La Mav Anti Dark Circle Eye Gel is an advanced and unique product, formulated with Vitamin C, Chlorella Vulgaris and Rumex Extract to help reduce the appearance of puffiness and dark circles so your eye contour looks smoother, firmer, and brighter. 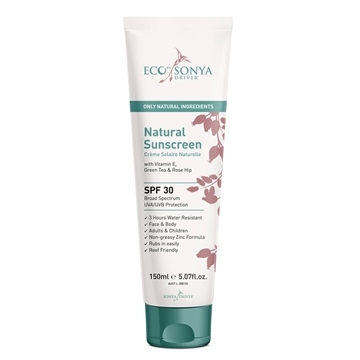 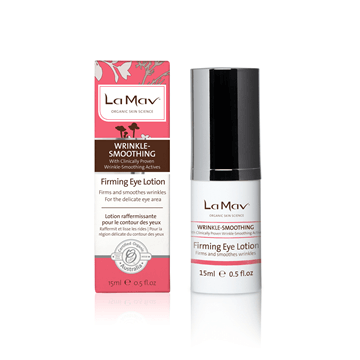 This light cooling gel will revive, rejuvenate, and lighten the delicate eye area. 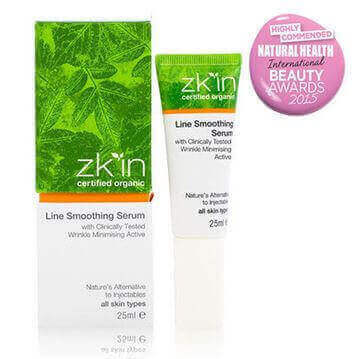 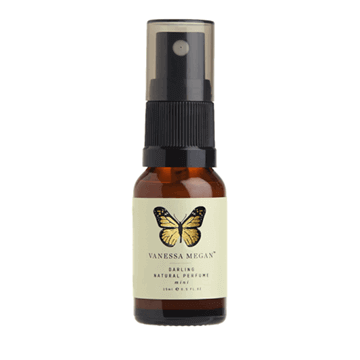 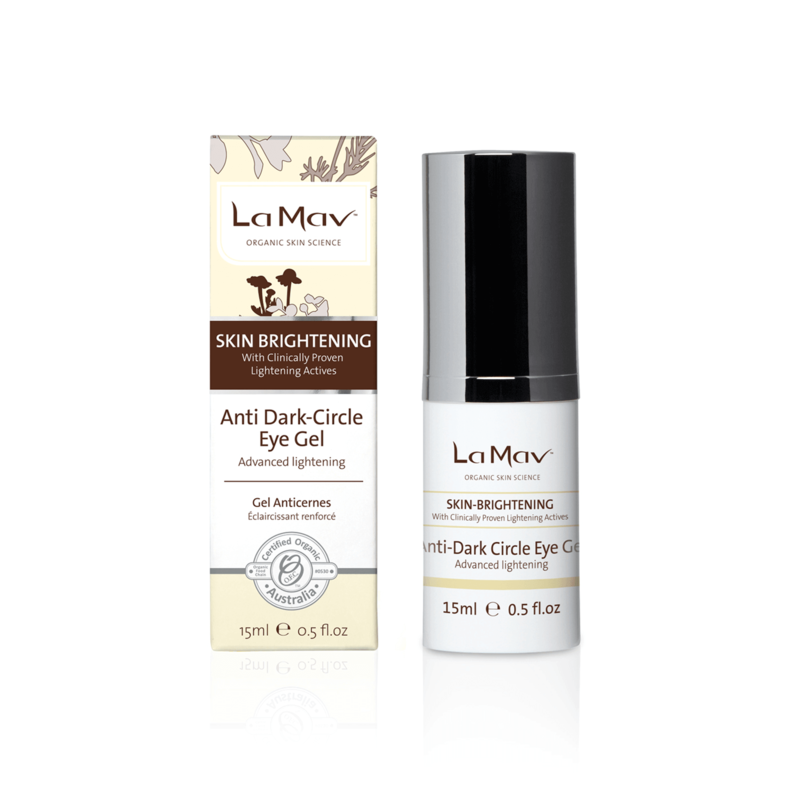 Perfect for use on all skin types and works in synergy with other La Mav products in the Skin Brightening range. 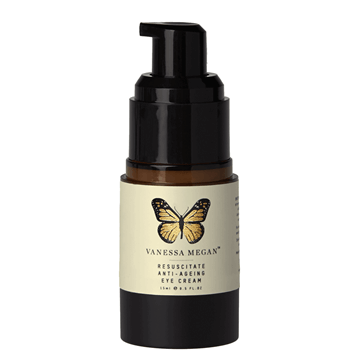 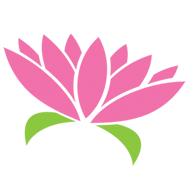 *Aloe Barbadensis (Aloe Vera) Leaf Juice; *Rosa Damascena (Rose) Distillate; *Glycerin (Vegetable); Sodium Levulinate; Sodium Anisate; Sodium Stearoyl Lactylate; Chlorella Vulgaris Extract; *Rosa Canina (Rosehip) Oil; Hyaluronic Acid; Glyceryl Caprylate; Malva Sylvestris (Mallow) Extract, Mentha Piperita (Peppermint) Leaf Extract, Primula Veris Extract, Alchemilla Vulgaris Extract, Veronica Officinalis Extract, Melissa Officinalis Leaf Extract, Achillea Millefolium Extract; Rumex Occidentalis Extract; Cassia Alata Leaf Extract; Glycyrrhiza Glabra Root Extract; Sodium Ascorbyl Phosphate (Vitamin C); *Calophyllum Inophyllum (Tamanu) Nut Oil; Xanthan Gum; *Hippophae Rhamnoides (Sea Buckthorn) Seed Oil; *Vaccinium Myrtillus (Bilberry) Seed Oil; Tocopheryl Acetate (Vitamin E – plant derived); Essential Oils of Rosa Centifolia and *Citrus Sinensis (Orange Sweet).